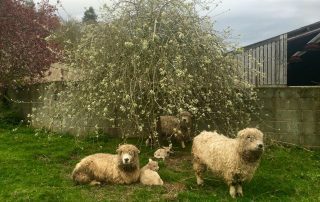 Greyface Dartmoors are a Rare Breeds Survival Trust Minority Breed, and we are owners of the ‘Dragon Fodder’ flock of Greyface Dartmoors. 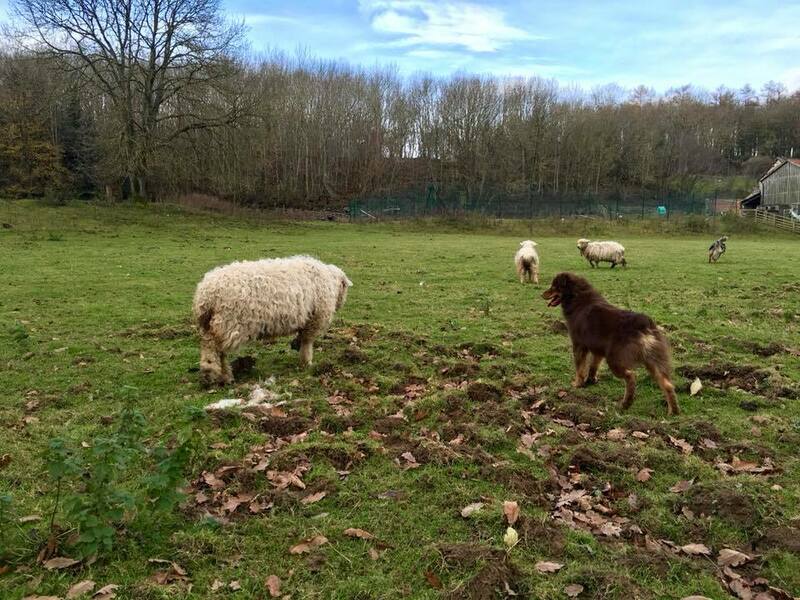 These are rare breed of sheep that are attractive, quiet and easily handled. 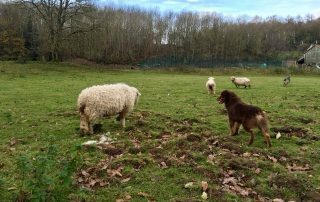 They are a medium sized sheep (approx 65 kg) descended from local breeds which grazed the low ground in Dartmoor. 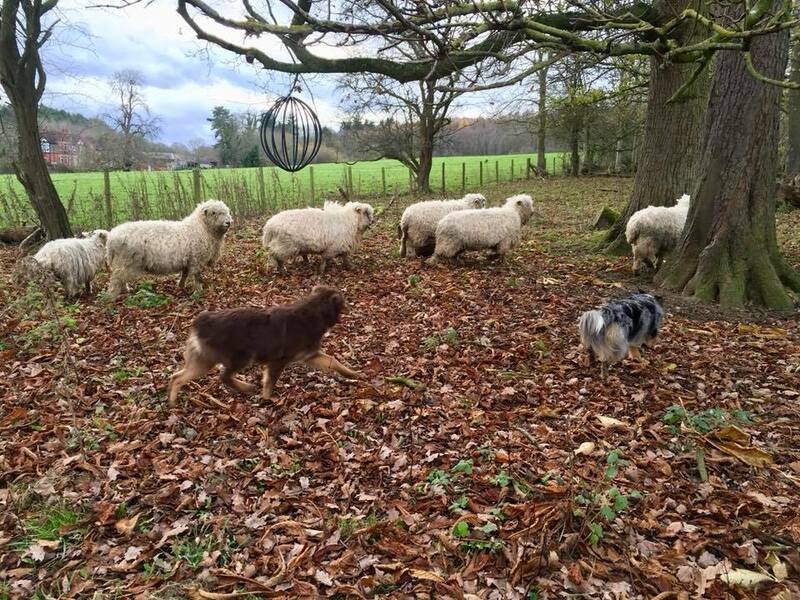 Their fleece is classified as Lustre Long Wool and it’s traditionally used for carpets, blankets, serge & cloth. 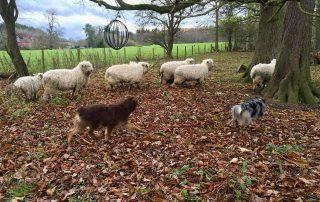 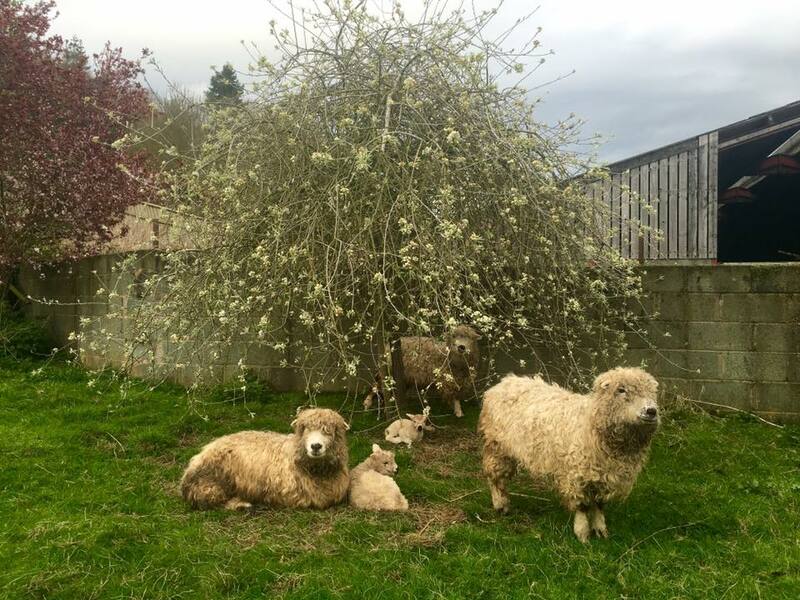 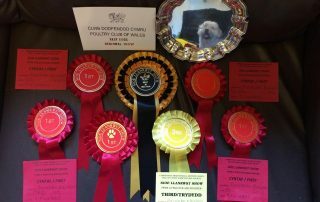 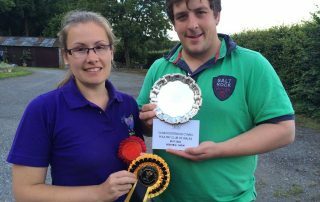 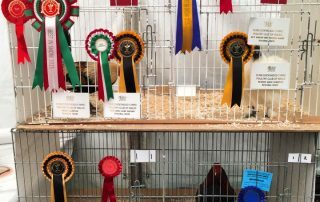 We keep our small flock to increase numbers of the breed, and can be seen showing our sheep at country shows throughout north Wales and Cheshire. 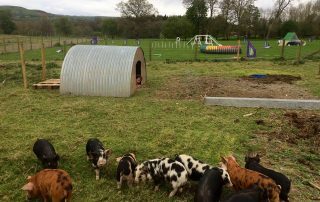 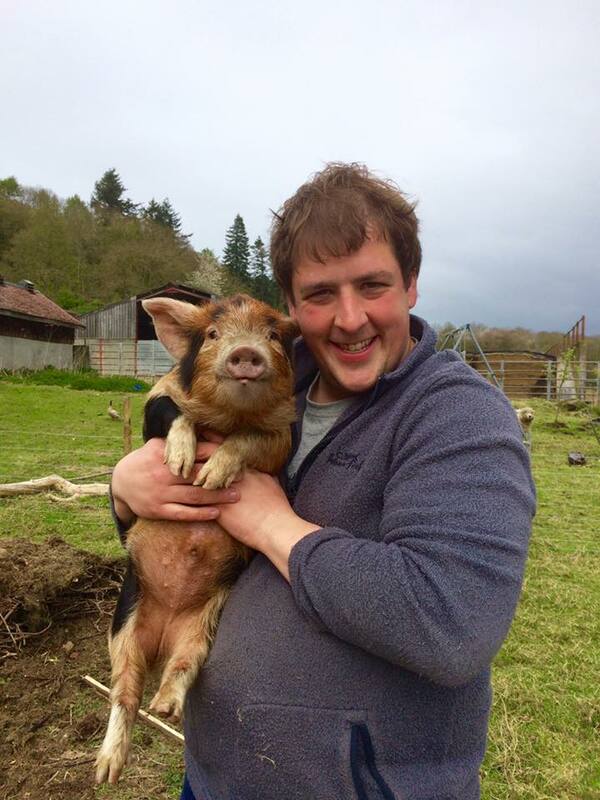 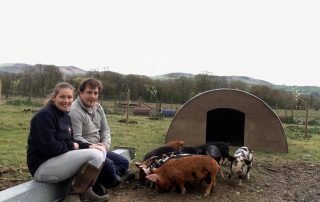 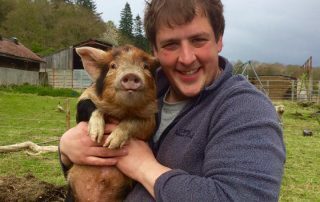 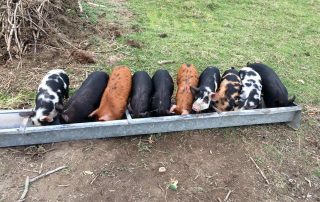 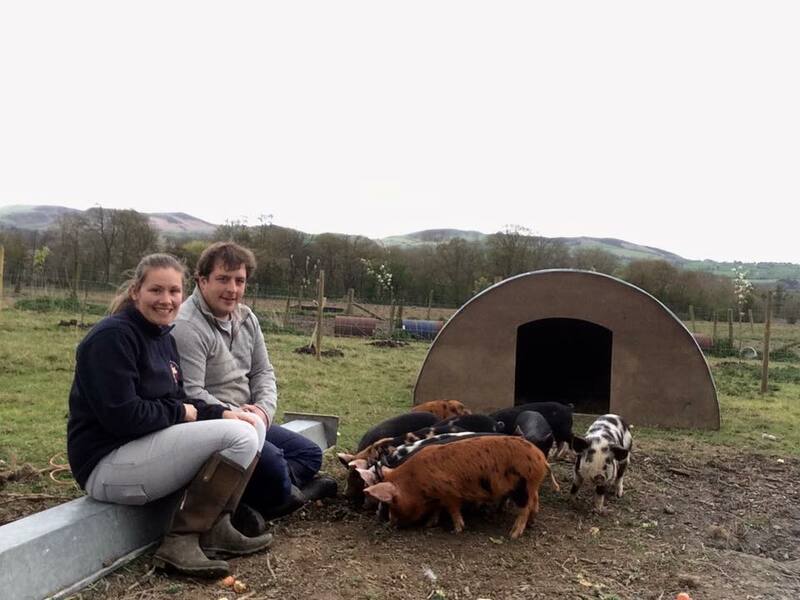 We’ve been keeping pigs for just over 3 years now and in that time we have kept Tamworth x Oxford Sandy and Blacks; as well as Berkshire crosses. 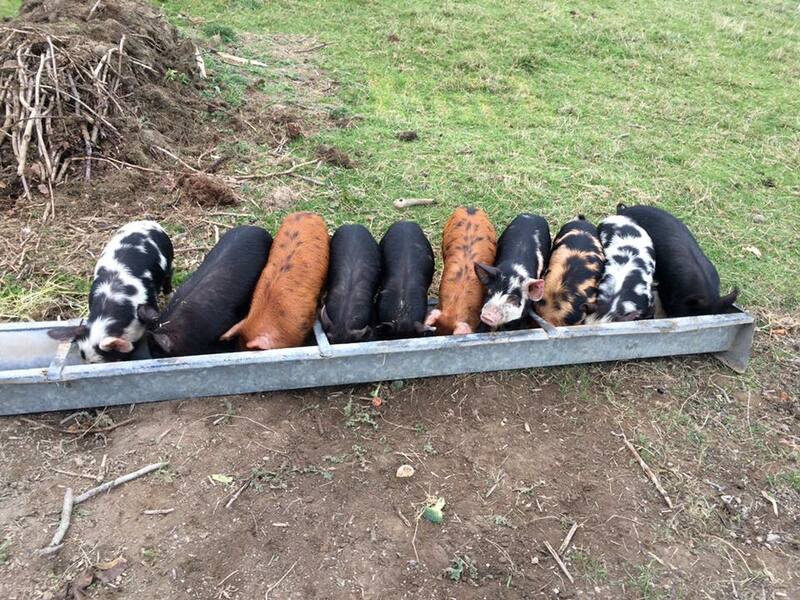 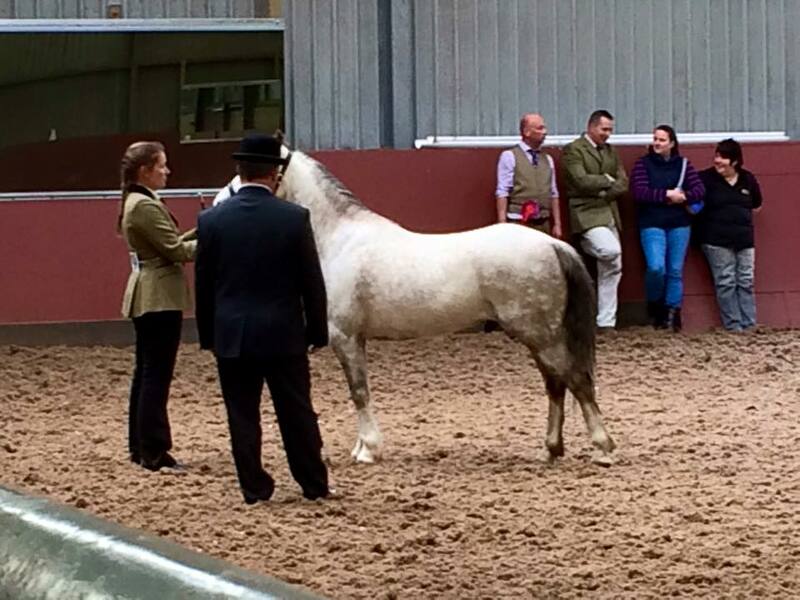 We tend to go for the slower maturing, rare breeds, for their temperaments as well as looks. 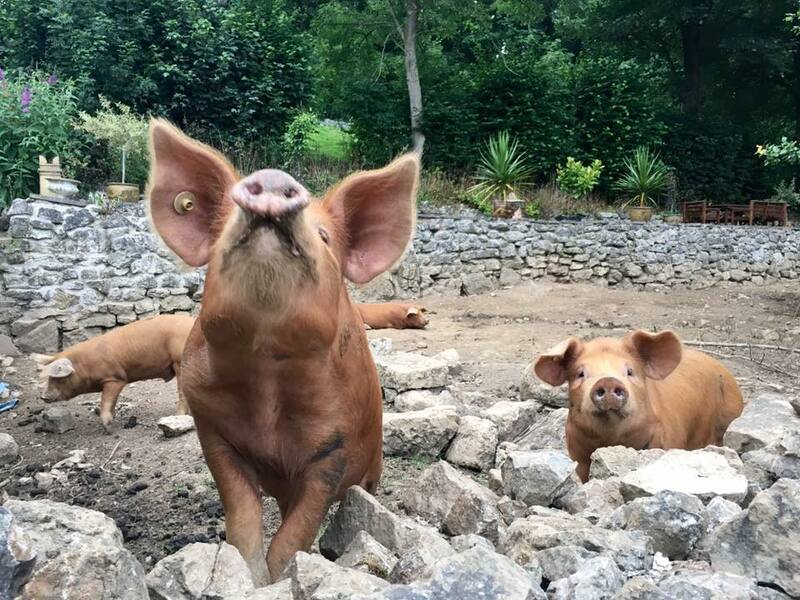 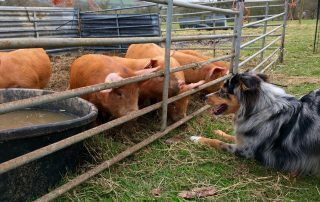 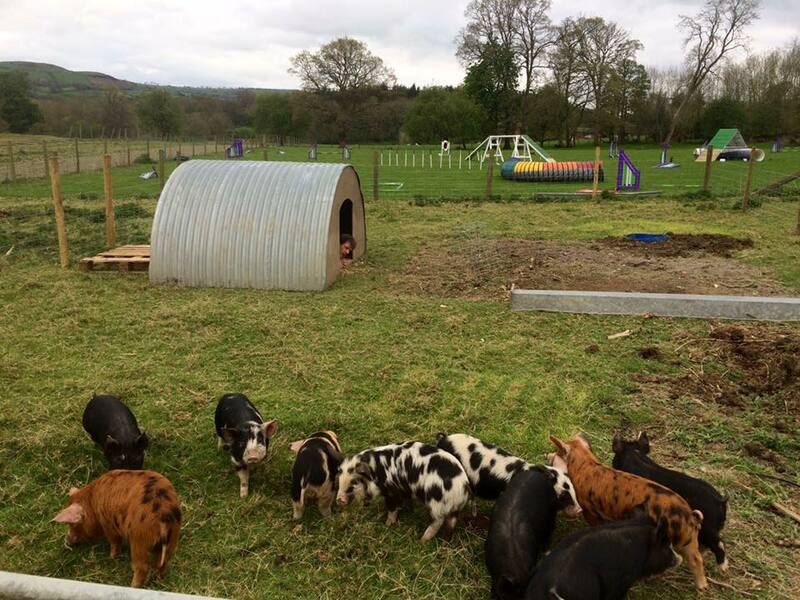 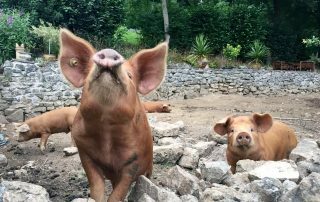 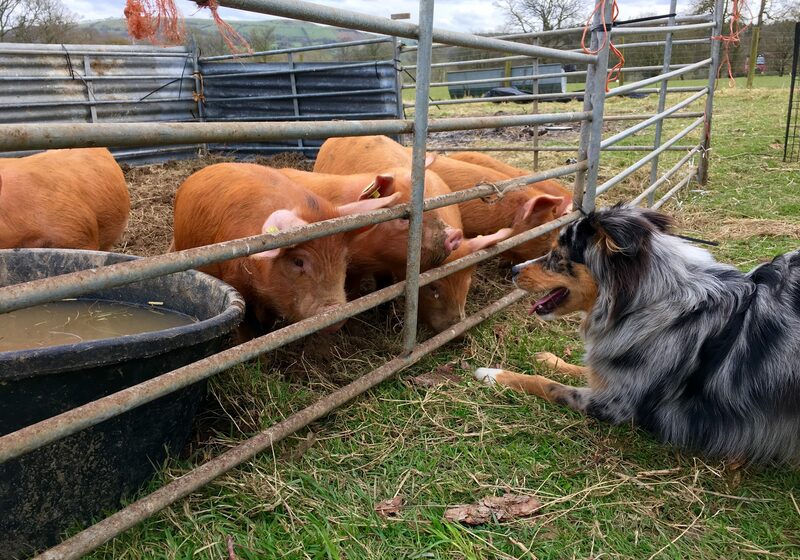 The pigs are kept for meat and are very used to running around with the dogs and enjoy an outdoor (sometimes more free-range than we anticipate) lifestyle! 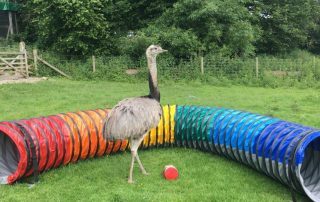 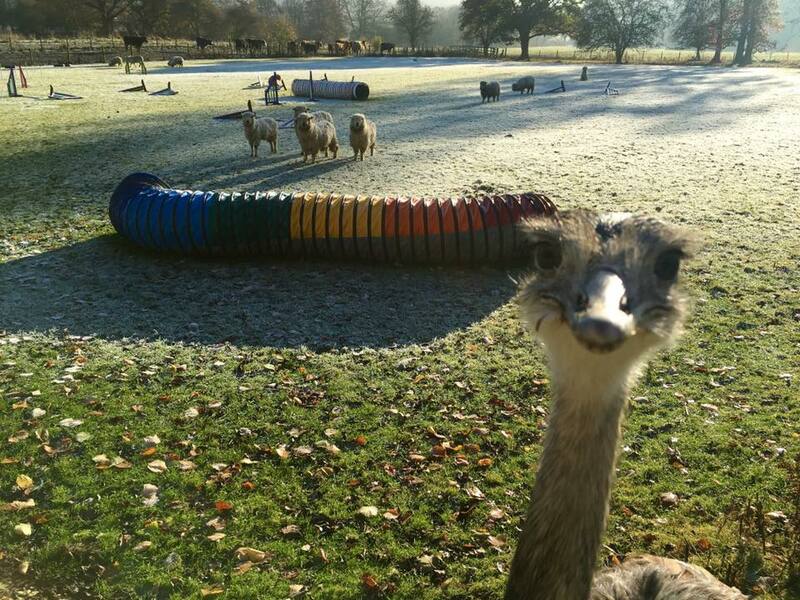 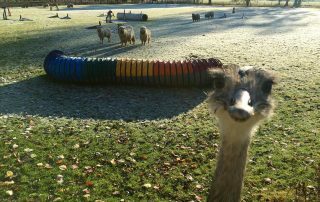 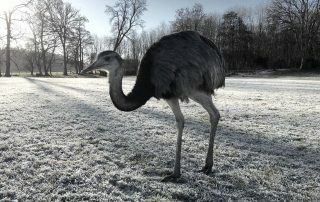 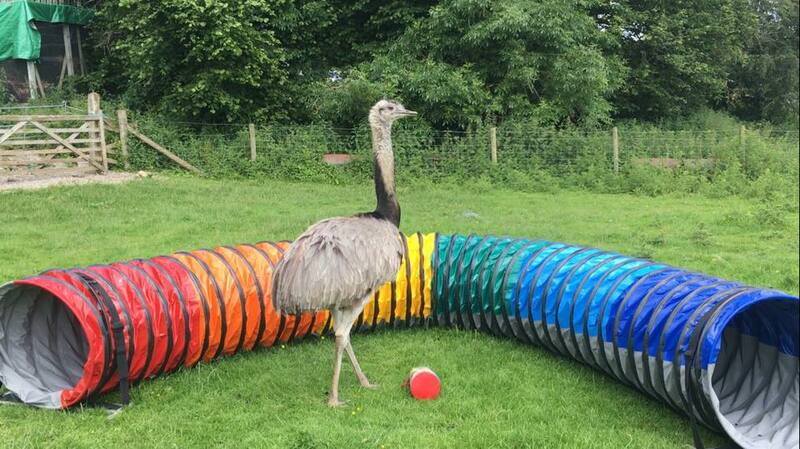 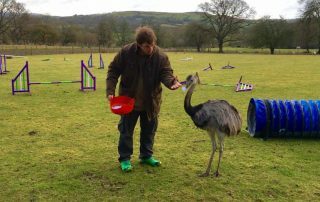 We keep a wide range of poultry, from chickens, ducks and geese, to Guineafowl, quail and even rhea! 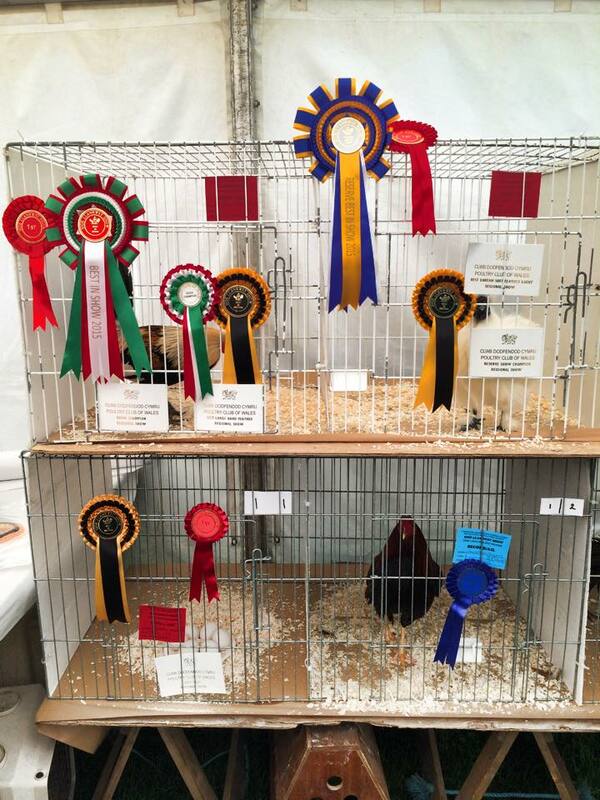 We keep the birds for show stock, eggs and meat. 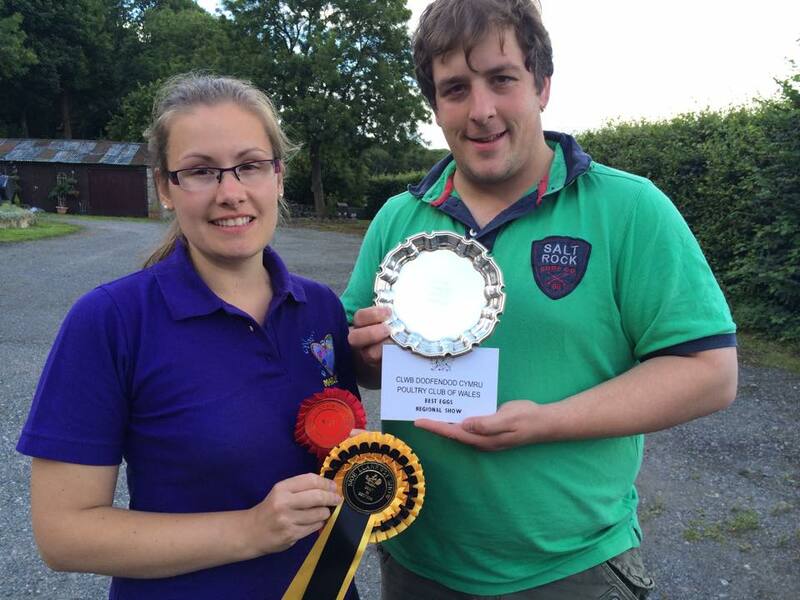 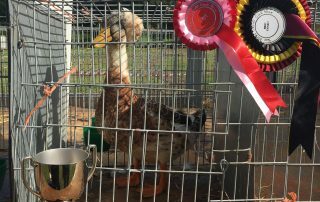 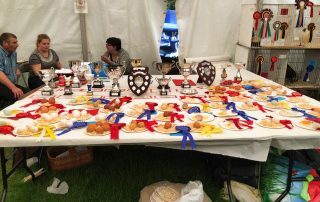 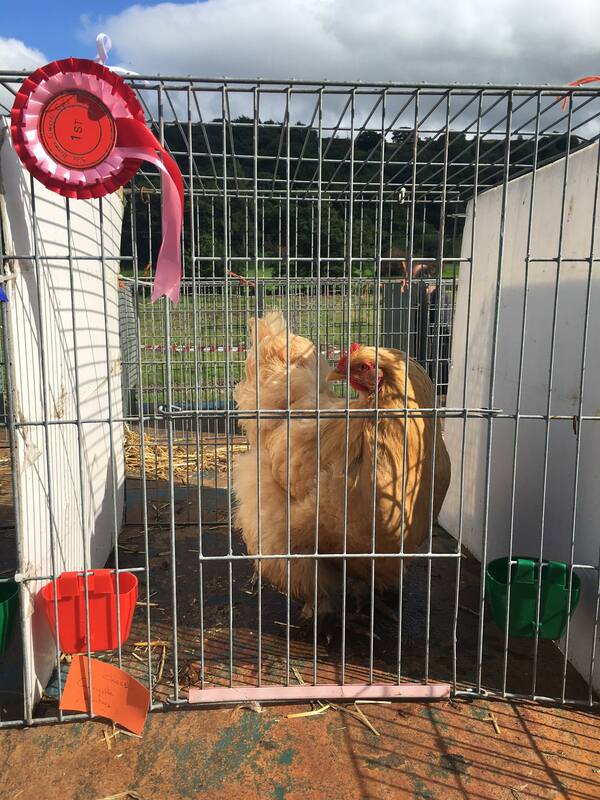 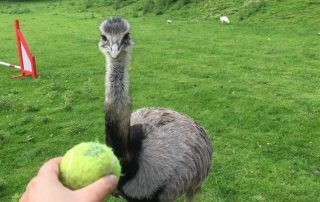 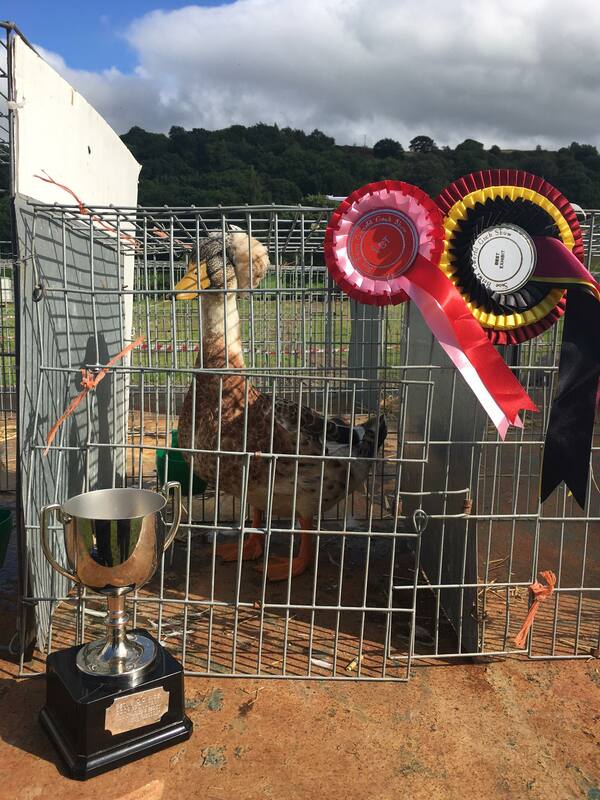 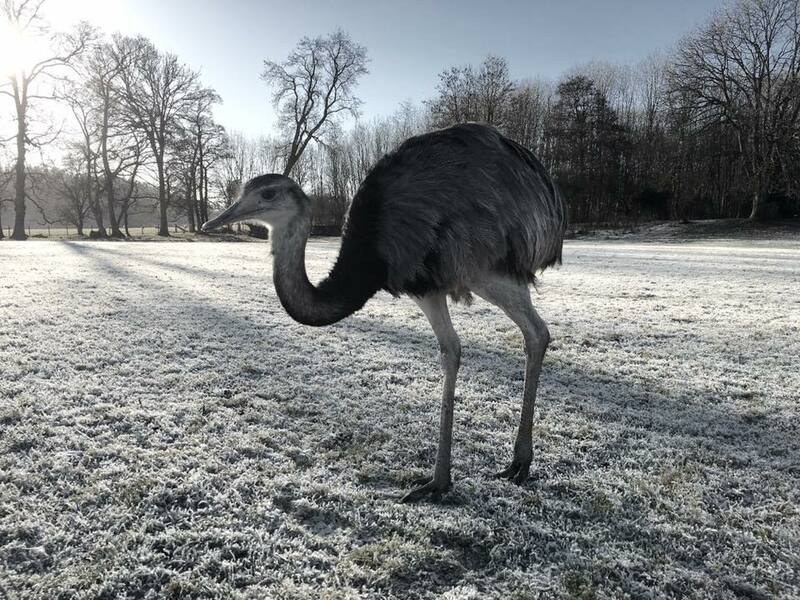 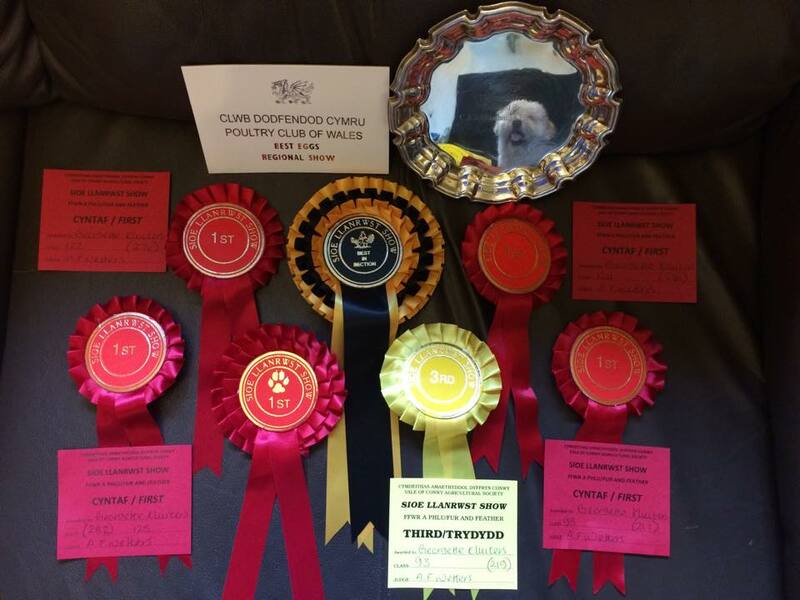 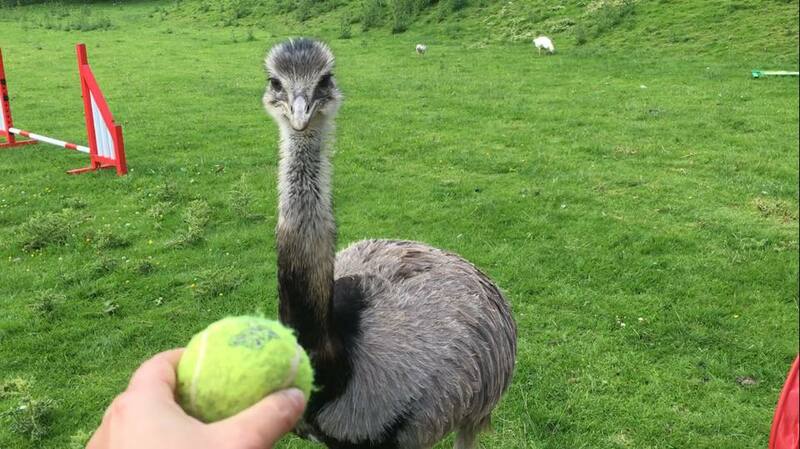 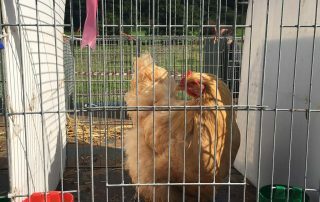 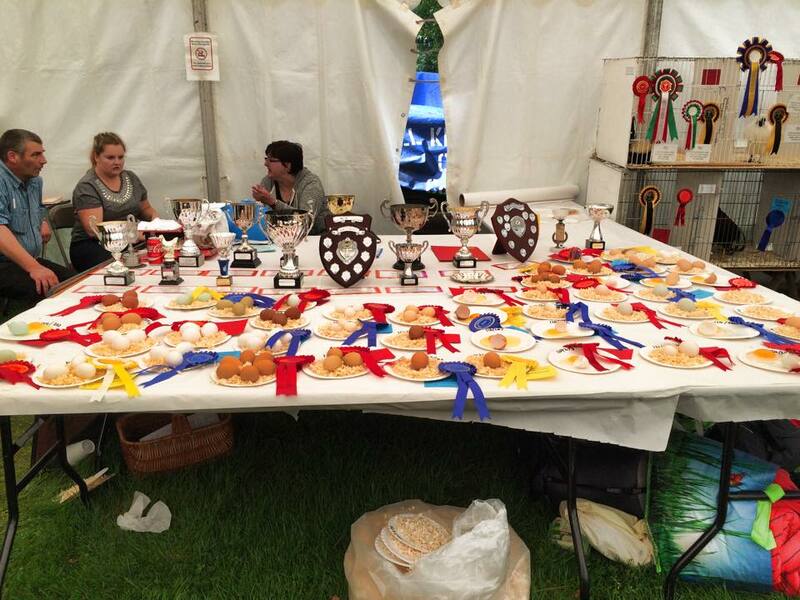 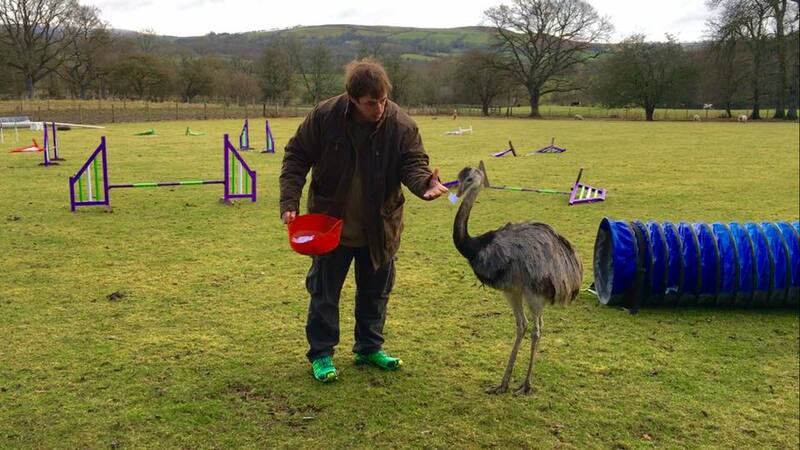 Our birds can often be seen at the same shows our sheep attend and they’ve won numerous prizes and awards, including The Poultry Club of Wales’ perpetual silver plate for ‘best regional eggs’ and the Charles Davies Best Poultry Exhibit Cup for 3 years running! 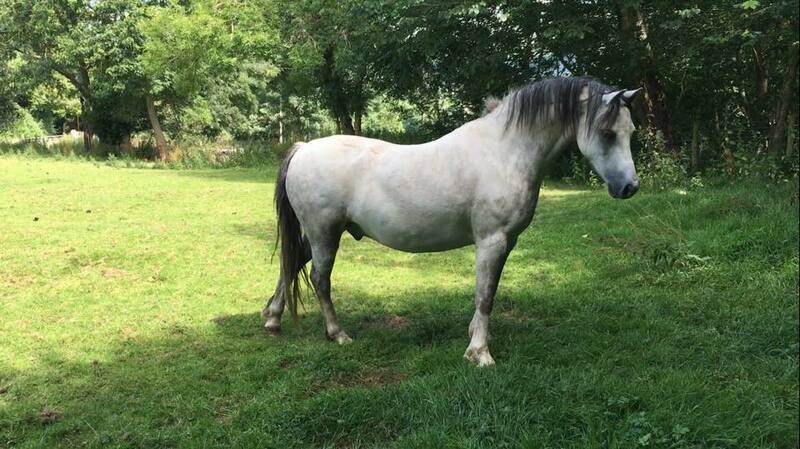 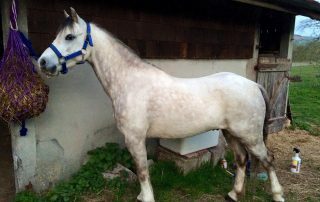 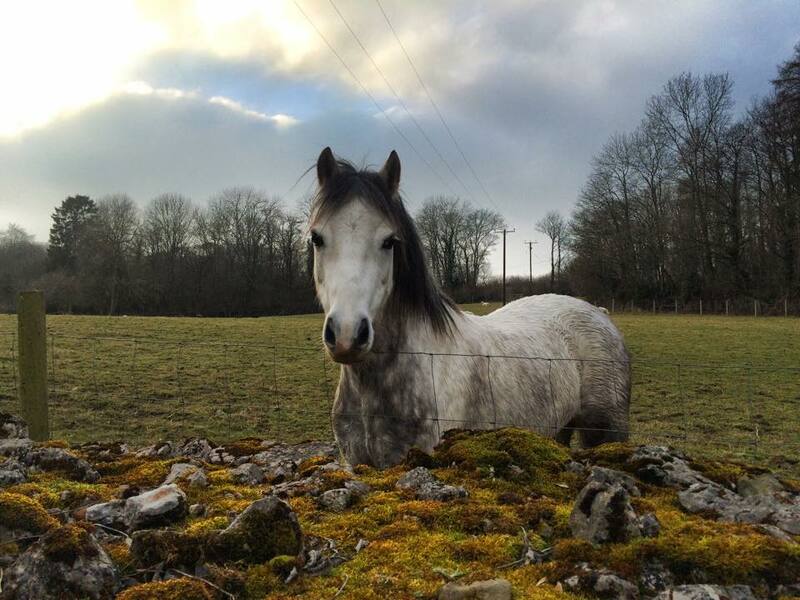 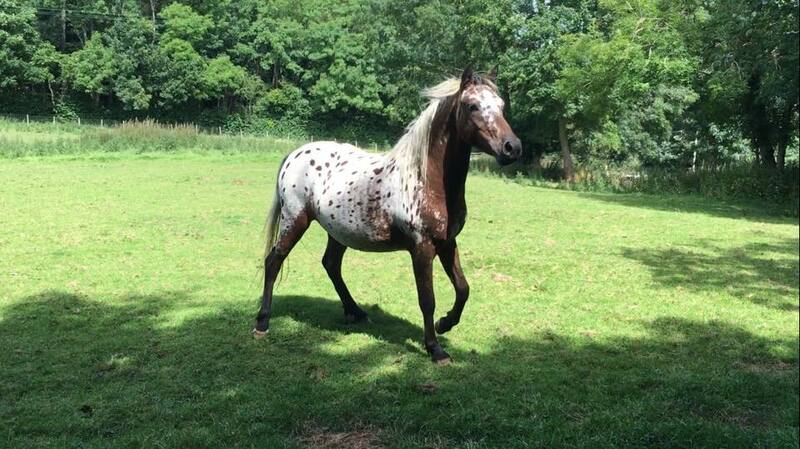 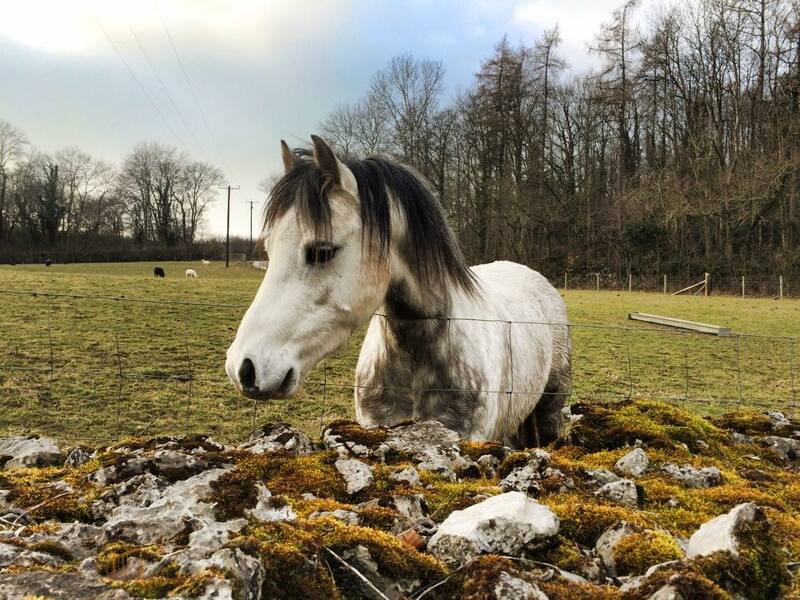 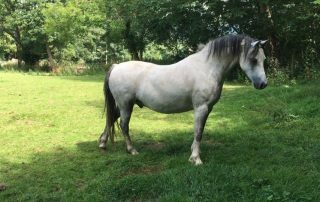 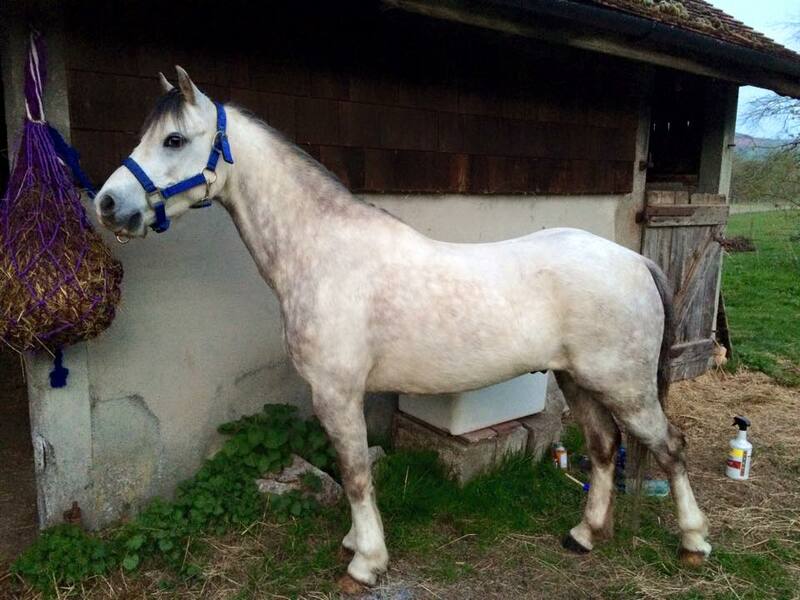 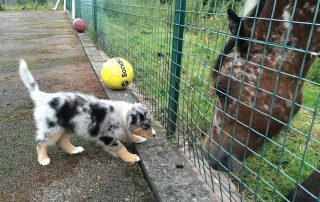 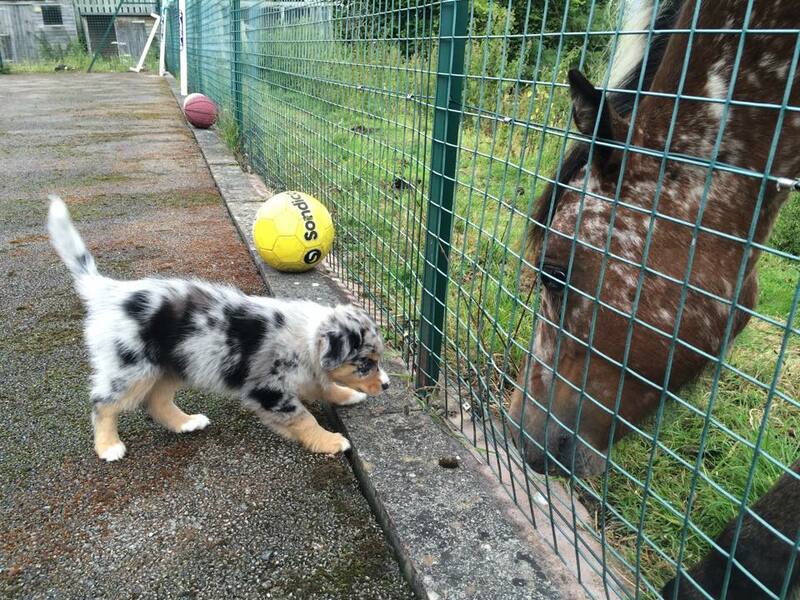 Finally, we have 2 horses – Bertie & Eclipse. 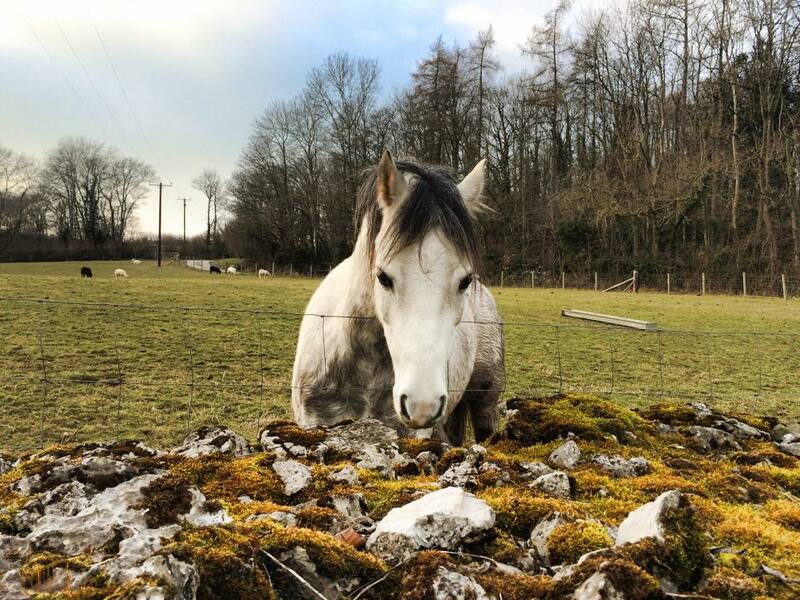 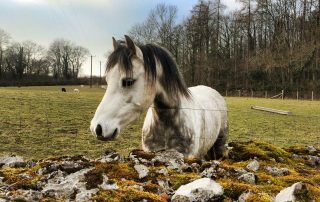 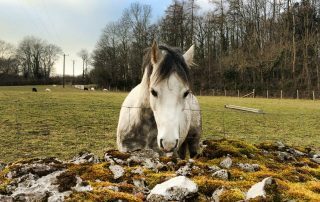 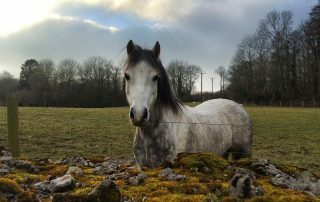 All our dogs are very used to being around horses and can often be found sitting on the dry stone walling watching them in the field!